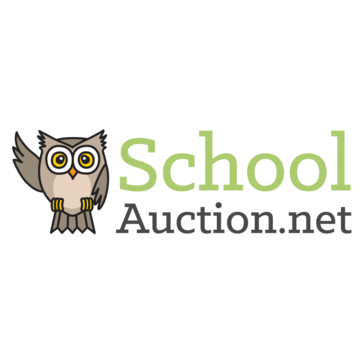 Nonprofit auction software is specifically designed to help nonprofits conduct, organize, and manage fundraising efforts during live auctions, silent auctions, and online auctions. Nonprofits use this type of software to bolster their fundraising efforts during and between charity events. These platforms provide tools to collect and manage donated items to put up for auction, create auction catalogs, and take and track monetary donations. Some solutions may even contain mobile auction capabilities so donors can bid or donate using their mobile phones. Platforms may also produce reports to display fundraising progress, donor conversion, and attendance. Some nonprofit auction platforms integrate with event planning software, donor management software, nonprofit payment gateway software, and fundraising software to help organize charity events and monitor fundraising success. Nonprofit Auction reviews by real, verified users. Find unbiased ratings on user satisfaction, features, and price based on the most reviews available anywhere. Web-based software to help non-profit groups plan, manage, and run fundraising auctions: live, silent, online, and mobile. Use your existing credit-card processor, or one of our preferred partners. Our mission is to provide easy to use and affordable online and mobile auction services to organizations of all sizes, allowing more of the money you raise to go directly to your cause. Our web-based, user-friendly solution helps you plan, manage and fundraise through a variety of channels including ticket sales, sponsorships and online or live auctions. Features include: Event and Attendee Management • Ticket & Sponsorship Sales • Online, Mobile and Live Auction Software • Online, Mobile and Paper Bidding • Point of Sale Module • Donor Management • CRM Database Integrations • Social Media Promotion • Standard and Custom Text Messages • Text2Give • Mobile and Traditional Paddle Raise • Leaderboards • Pre-register Credit Cards • Invoice and Landing Page Design • Reporting and Analytics • On-call Remote Support ___ We invite you to read some testimonials from previous users below: "This is super. We researched EVERY single online auction website out there and are so glad we chose Charity Auctions Today! It’s just been the easiest to use." ~Carrie T. "I love using Charity Auctions Today and so do our members! We saw a 120% increase in our fundraising efforts from the year before. We will DEFINITELY be using y’all again!" ~Danielle K. "The support was just wonderful, so willing to explain everything, offering help with improving the look of our landing page and, overall, extremely helpful. This kind of personal attention is something I really value." ~Julia O.
Auctria is the powerful engine to organize and run your auction from the first donation to final collection. Auction! is a Windows software package providing software tools you need to manage a charity auction fundraising event that supports both silent and live auctions and has features such as bid sheets, event catalog, donation receipts, and more. AuctionMaestro Pro is a benefit auction planning system that analyses and tracks collected funds and helps manage your auction events. Auction-Tracker serves the non-profit industry by providing auction fundraising software, non-profit event management software and support services. Our auction solution is an excellent way to attract new donors, generate sponsorship revenue and reach more supporters to achieve higher fundraising goals. Greater Giving Online Bidding is an all-in-one, secure, online fundraising solution with the functionality to support both mobile bidding and online auctions at your events year-round. Includes mobile bidding, unlimited items, and unlimited bidders. Auction Co-Chair ends the complicated process of tracking donors, donations, and guests through spreadsheets. The Auction Information Systems PRO 2003 software was designed to help those schools, and organizations which hold auction fund raisers. 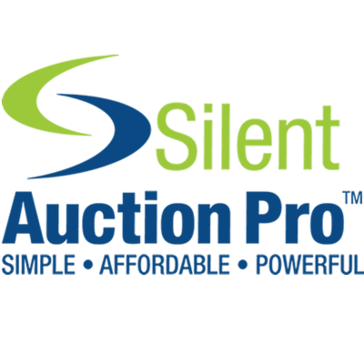 AuctionStar is the affordable, full-featured silent auction tool with events, barcoded auctions, mobile bidding, online auctions, and more. AuctionZoom helps you modernize your bid sheet silent auction. AuctionZoom delivers simple, integrated technology solutions for both internet-connected and internet-free auctions held by non-profit organizations. Increases attendee/ donor engagement and makes it easier to give. Host unlimited events of any size. Cause4Auction offers simple mobile auction platform for schools and nonprofits. GalaBid allows you to design an auction in minutes that your guests can access from a smartphone, computer, or tablet that allows you to do bulk uploads for item details and create image galleries with a point and click menu. Pearl Bids will help you set up your auction and manage your donations, attendees, donors and billing. Simple software for fundraising auctions. Web based Auction Management software for non profit and charity gala auctions helps connect members and build community within your organization as you raise needed funds.